A few weeks ago, my husband and I had an amazing dinner at Maritana Grille during our getaway at Loews Don CeSar Beach House Suites. 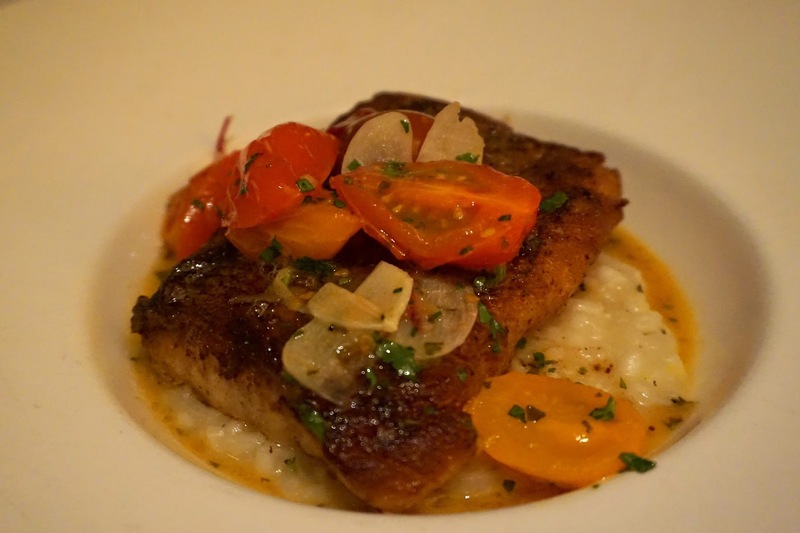 Maritana Grille is my favorite restaurant in the area for a date night or celebration. 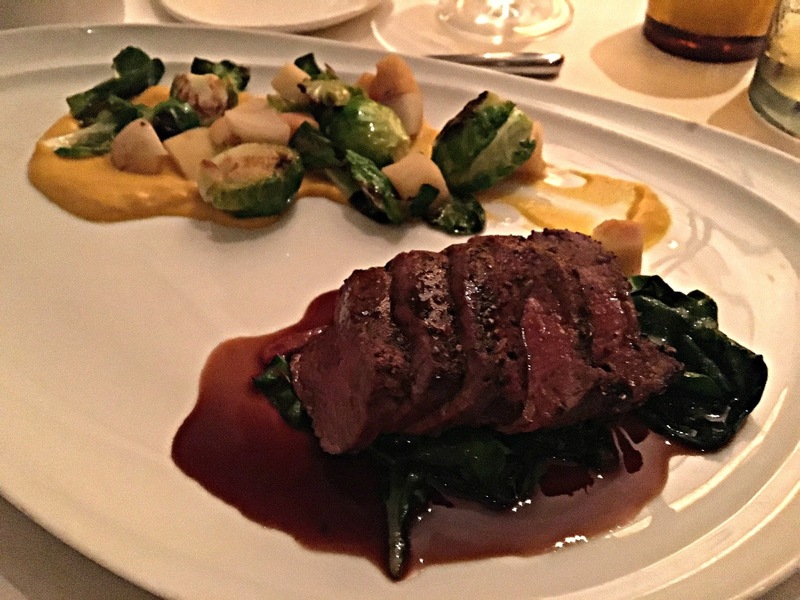 The menu is ever changing, locally sourced and never disappoints. Maritana Grille's menu is separated in categories, Farm Greens, Ocean, Earth, Caviar, Blue, Small Farms, Global and Prime. A new Prime menu at Maritana Grille recently launched and it offers a variety of courses that comes with a seasonal soup, house or Caesar salad. There are four steaks to choose from - everything from a 7oz Center Cut Filet ($47) to a 32oz Tomahawk ($85)! There are also 5 new shareable sides for $10 - I cannot wait to try the Caramelized Brussels Sprouts with house cured pork belly! Click here to check out the new menu. We dined with our friends Jeff, Amanda and her husband Travis so a lot of the Maritana Grille Dinner Menu found it's way to our table. In no order at all, here are a few of the things we tried! Global: Maine Lobster Pappardelle Pasta. This dish featured all of my favorites - pappardelle is my favorite pasta, lobster is my favorite thing on earth and truffle is my weakness! The pappardelle was homemade with fresh giant pieces of lobster. The sauce had such an amazing truffle flavor ($38). 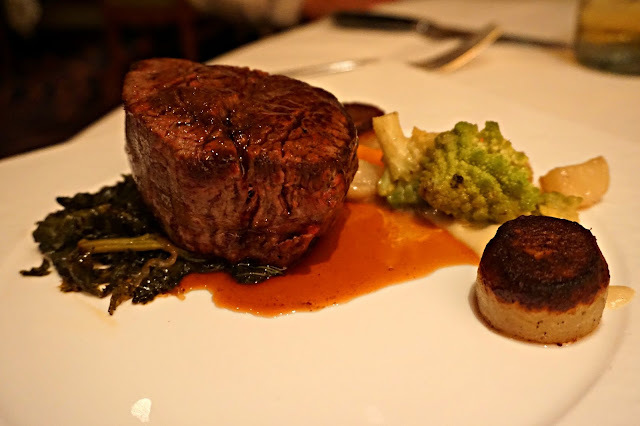 Prime: Wagyu Filet Mignon - this was Gabe's dish and it was perfectly prepared and the steak cut like butter ($47). 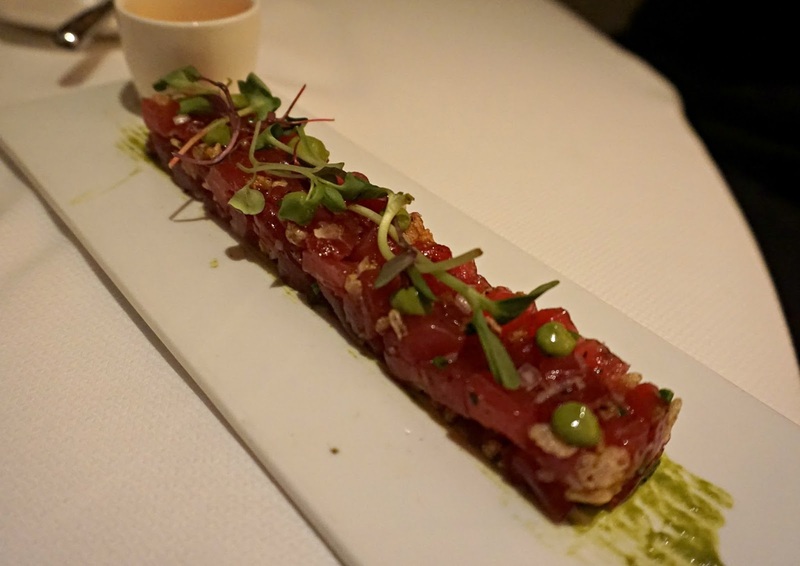 Ocean: Yellowfin tuna tartare with cilantro cream ($17). We also had the Stone Crab Claws which are in season for only a few more months (market price). 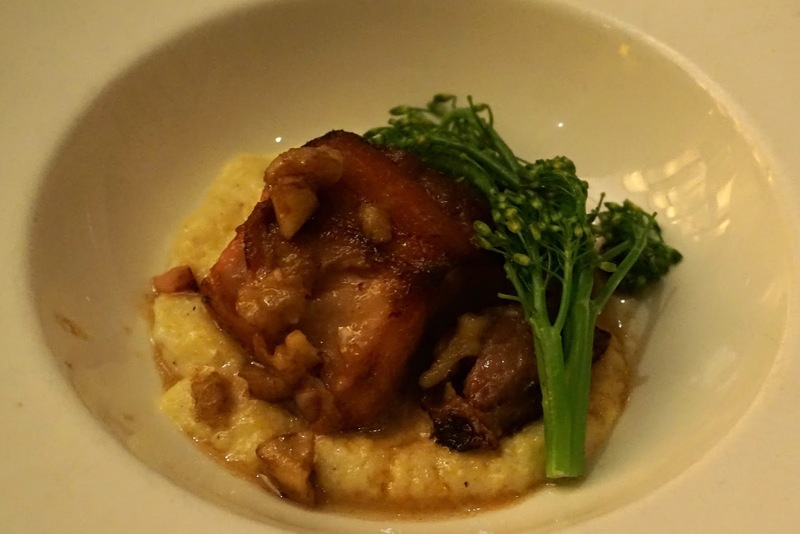 Earth: Pork Belly over Parmesan polenta, broccoli rabe and walnuts ($15). We also tried the Winter Squash Bisque with stone crab, coconut and green curry ($14) and the Artisan Cheese platter with marcona almonds, truffle honey and charcuterie ($18). Dessert: No meal at Maritana Grille is complete without ordering the Reveal Dessert.